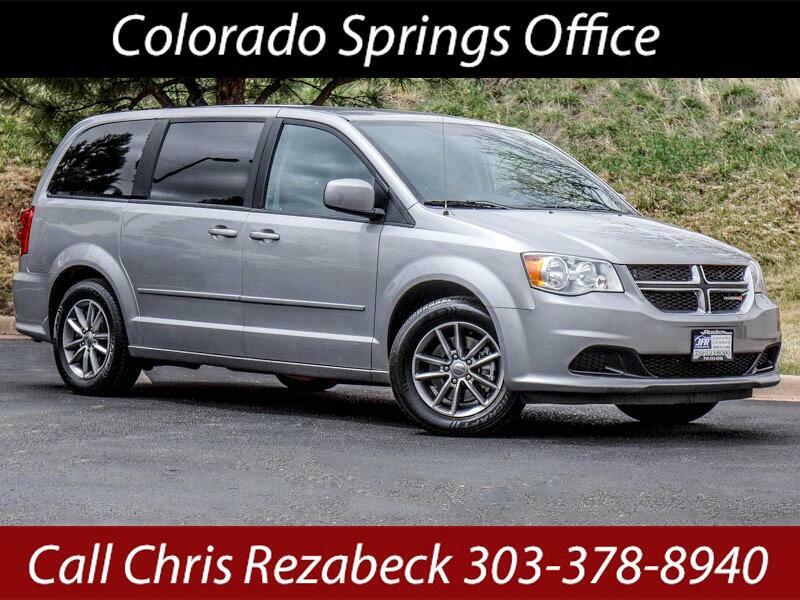 Used 2017 Dodge Grand Caravan SE for Sale in Littleton CO 80120 JFR & Associates, Inc. Here's a sweet deal and a way to transport a bunch of people at one time. This van is family friendly and offers plenty of room and comfort for you and your passengers. This V6 engine provides quick acceleration when you need it. Merging in traffic is a breeze, quick and easy. The cabin offers a quiet and pleasant ride quality with gauges and instrumentation are easy and straightforward to use. The Dodge's useful Stow 'n Go seating is easy to use and lovable. This Grand Caravan comes with a wide variety of options like aux audio jack, Bluetooth integration, CD player, tinted windows, woodgrain trim, keyless entry, plus lots more to make your driving experience more enjoyable. You are cordially invited to take this Dodge Grand Caravan for a test drive and discover for yourself why this van is so popular. Call today and set up a test drive. Call Chris Rezabeck at 303-378-8940 if you have any questions or if you would like to schedule an appointment to see this vehicle.